2 Under White Australia Policy, Australian novels, which originated from the European values of individuality and the high-mindedness and supremacy of European imagination, played a vitally important role in shaping Australian identity. However, as Australia becomes a multicultural society and immigrants flavor Australian novels with their ethnicity, the Australian identity becomes fragmented and manifold even in novels. As a result, appear the Diaspora writers, who write beyond their cultures, languages, and identity. 3 It is more than 30 years since Australia changed her policy from the White-Australia monoculturalism to multiculturalism as it is today. Making various policies based on cultural variety and political correctness, Australian multiculturalism has focused on civic duty education as well as civil rights education. In the 1990s, the Australian Government prepared a rubric for Civics Citizenship Education. 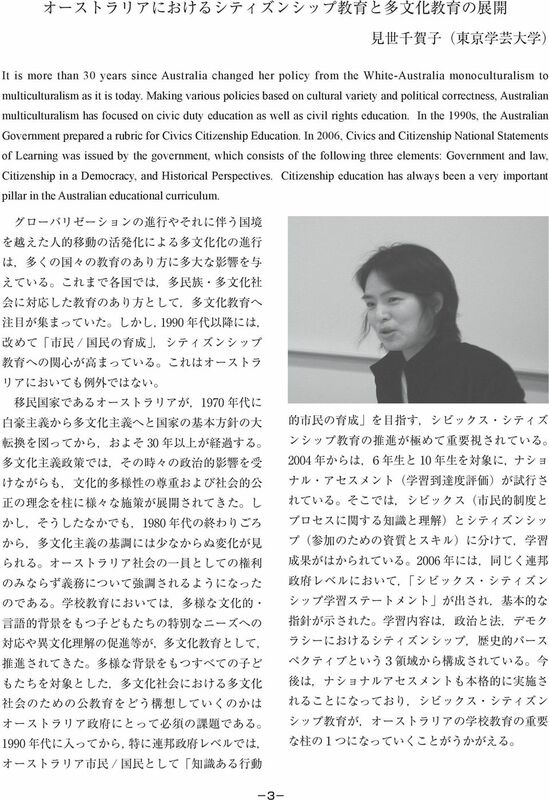 In 2006, Civics and Citizenship National Statements of Learning was issued by the government, which consists of the following three elements: Government and law, Citizenship in a Democracy, and Historical Perspectives. Citizenship education has always been a very important pillar in the Australian educational curriculum. 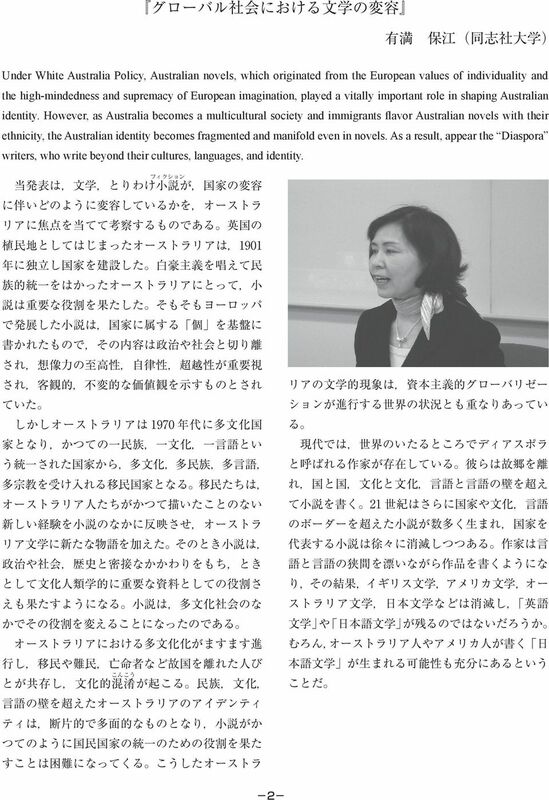 4 Komazawa Women s College sends its students to Monash University in Melbourne for a two-week ESL program every February. Each student stays with an Australian host family. Taking this year s students to Australia, I videotaped their study in class and life at home to review the whole program. The edited DVD shows you their excitement of staying with an Australian family, enjoyment from learning English at Monash University, and enthusiasm for learning more about Australian culture. 5 In New Zealand the birth of a new subject Social Studies, which did not appear in their suzerain s National Curriculum, occurred in the 1930s. 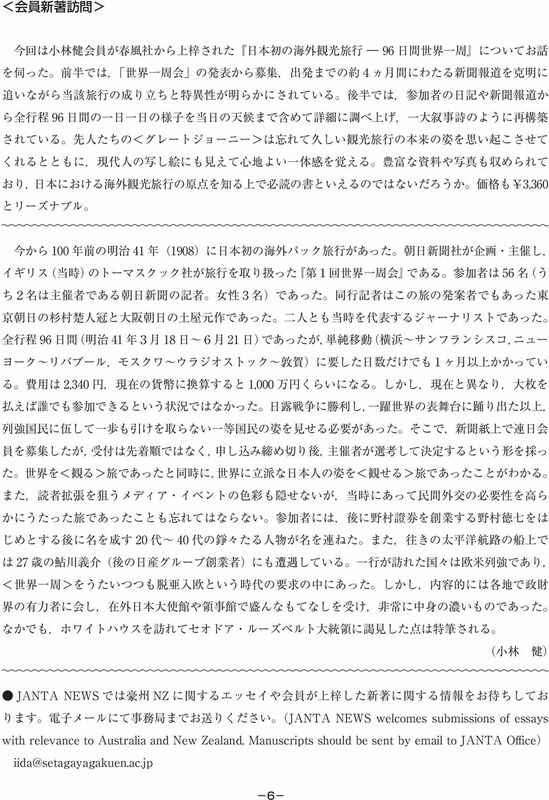 The subject, however, has been fiercely criticized because of its vague specialty, methodology, and category. 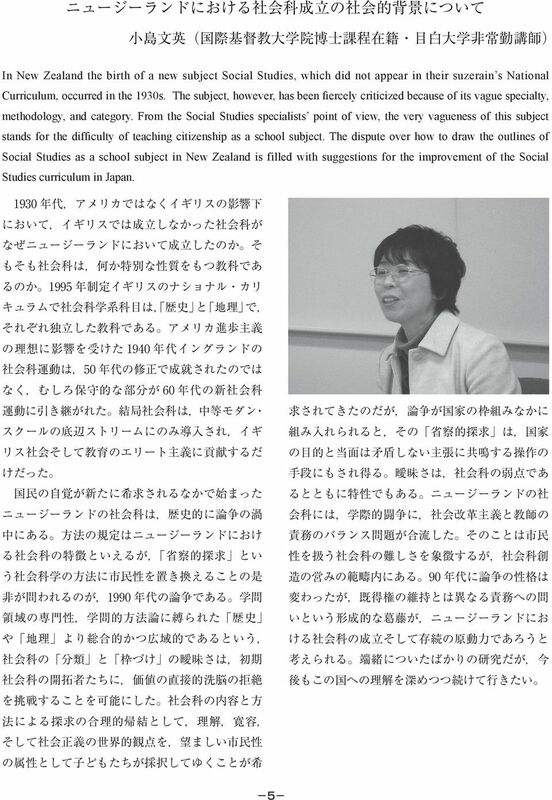 From the Social Studies specialists point of view, the very vagueness of this subject stands for the difficulty of teaching citizenship as a school subject. 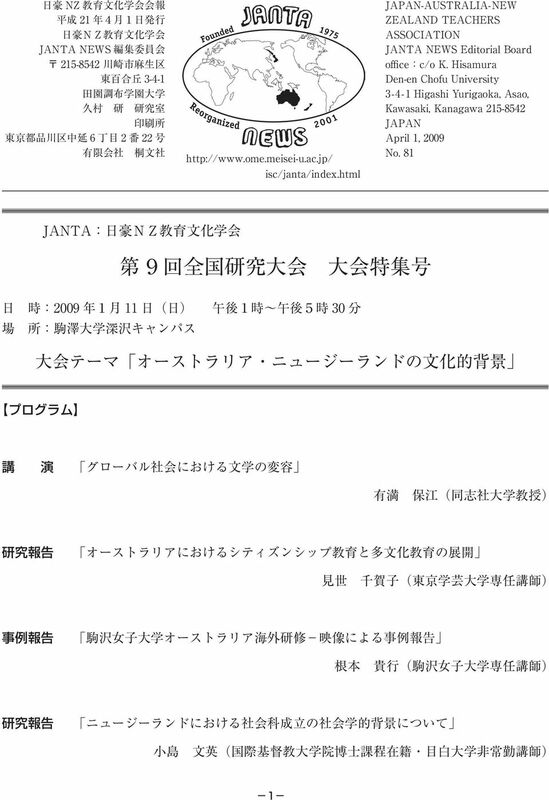 The dispute over how to draw the outlines of Social Studies as a school subject in New Zealand is filled with suggestions for the improvement of the Social Studies curriculum in Japan.